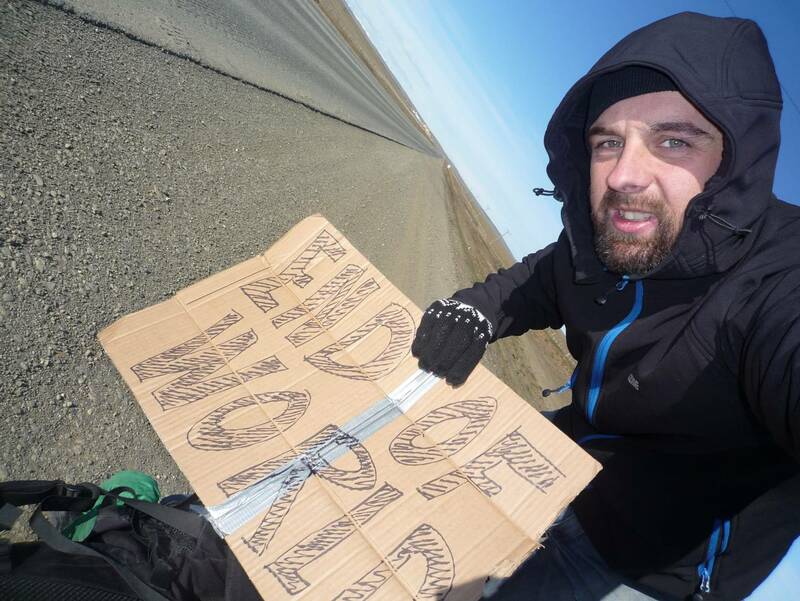 This is the unbelievable attempt of award-winning speaker Michael Wigge to travel 25,000 miles from Europe to Antarctica -without any money. Throughout his journey, Wigge immerses himself in fascinating subcultures, sleeps on the street with homeless people and nourishes himself with flowers. 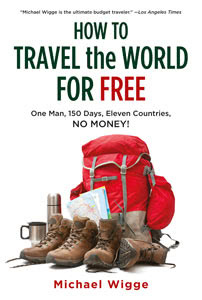 With the help of over 100 people Wigge manages to aquire free food, free accommodation and free transportation for his 150-day journey across four continents and eleven countries. This unusual travel diary combines adventure with humorous situations and insightful interviews about people’s relationship with money. 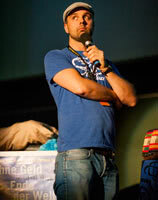 Michael Wigge left Berlin in June 2010 and traveled for 150 days through 11 countries, arriving in Antarctica in November 2010. More than 100 people helped, providing transportation, food and places to sleep. He planned the journey for a year before starting out, collecting contact information for those who might provide accommodations or odd jobs, but he also relied on the kindness of strangers. At first, Wigge scrounged for food from garbage bins behind supermarkets, but he soon realized that dumpster diving wasn’t necessary. He discovered he could barter for what he needed. He offered to clean the floor or wipe the counters or wash the dishes in a restaurant in exchange for an old sandwich. And most of the people he approached in shops, supermarkets, and restaurants were willing to give something. He crossed the Atlantic working on a container ship from Belgium to Canada in exchange for his passage, doing everything from paint jobs to changing the oil in the engine room. In Las Vegas, he engaged in pillow fights for $1 on the street and offered his back as a “human sofa” for tired visitors. 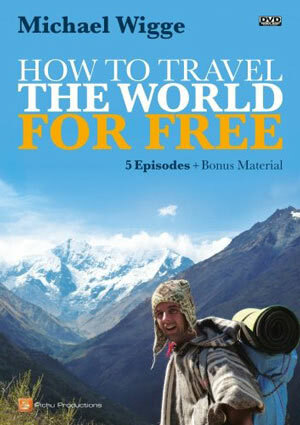 In San Francisco, he collected tips for “pushing heavy tourists up the hills.” Eventually he had 300 $1 bills, which he used to buy plane fare to Costa Rica. From there, he hitchhiked to Panama, where he worked as a butler for the German ambassador. To cross from Ushuaia, Argentina, to Antarctica, he worked on a luxury cruise ship as an assistant to the expedition leader. “You clean the boots of the tourists, you help them on the ice, you put red flags around the penguin field, you help refill the boats with gasoline,” he said. Wigge’s stint as a porter carrying tourists’ luggage in exchange for a trip to Machu Picchu, the ancient Inca city in the Peruvian Andes, ended “in a bit of a mess. I was the worst porter the Andes had ever seen,” he said. The other workers were accustomed to handling tents and meals for tourists along the 50-mile, fiveday route, then running ahead carrying 60 pounds of luggage on their backs in time to set up the next campsite before the tourists arrived, all at 14,000-feet elevations. But Wigge did not have the stamina to keep up. “They said, ‘This is not funny; you cannot do this; we do not want to lose our clients,'” he recalled. “I apologized.” After two days, they put his luggage on horses and allowed him to walk at a regular pace rather than staying behind and running ahead to help with campsites. Once he’d achieved his goal of starting out with no money and completing a one-way trip to Antarctica, he had no qualms about accessing a bank account for return fare to Germany. Michael Wigge sets off in Germany without any money. His travel companions along the way are socialists, freegans and the eccentric millionaire Harold. Working on a container ship, Wigge crosses the Atlantic Ocean free of charge. 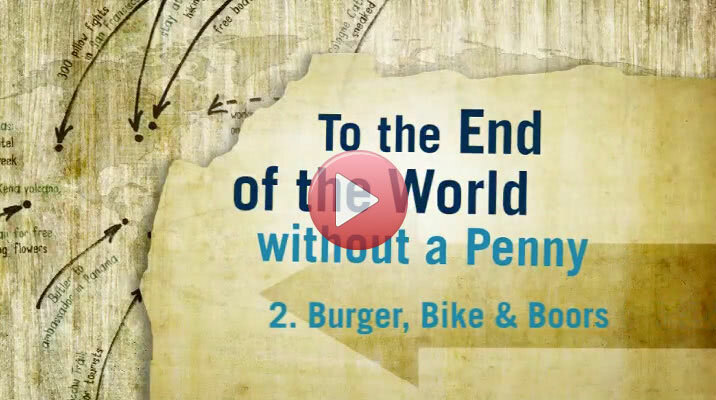 Will he make it to the New World without money? Michael Wigge sleeps in Montreal free of charge as a couchsurfer. After walking through Ohio, he reaches the tiny village of Berlin, where Amish farmers take him in and let him sleep in their barn. After a grueling tour by bike and bus, Wigge spends several days with homeless man Joseph. Will Wigge manage to get further West? Via route 66, Michael Wigge hitchhikes to the Grand Canyon and to Las Vegas, where he tries different approaches to earn food and transport. He meets millionaires, gamblers and tourists. 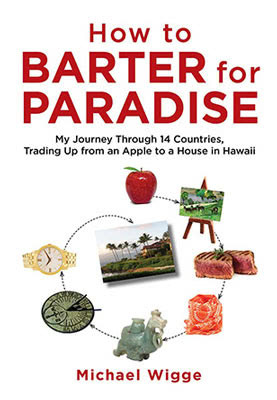 After Los Angeles and San Francisco, Wigge lives in Hawaii with alternative lifestylers – all without money, of course. 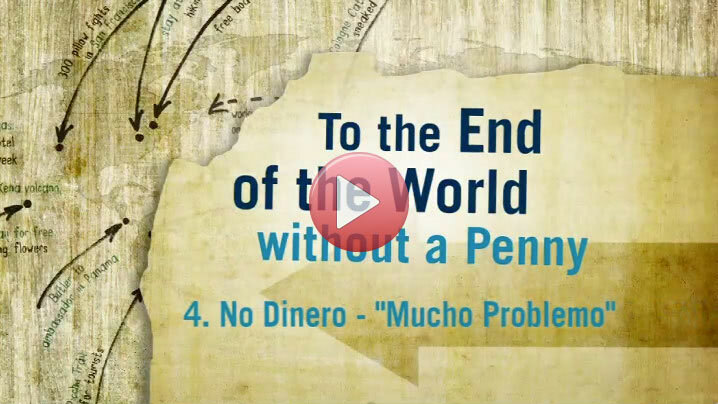 The travel without money takes Wigge through Costa Rica, Panama and Columbia, where living and traveling without money is particularly difficult. In Peru, he visits the Inca town of Machu Picchu free of charge as a load carrier. Now he suffers from a streak of bad luck. Will he have to cancel his journey? 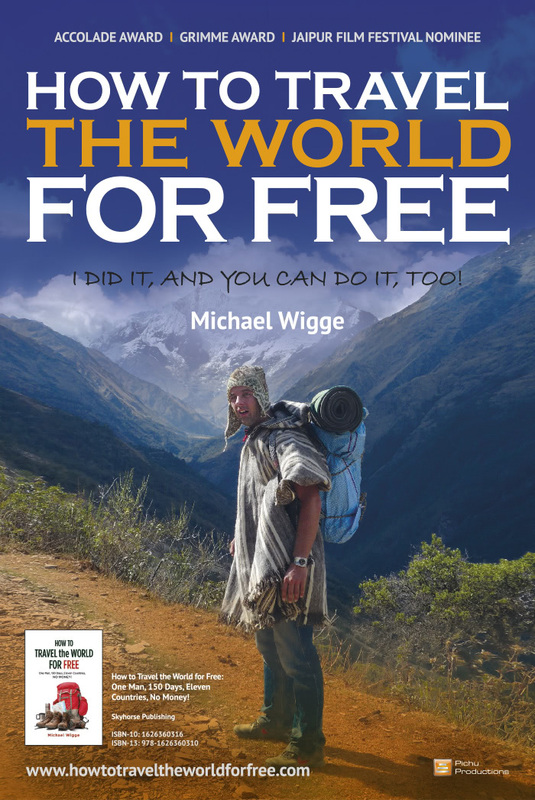 After difficult times in Bolivia, Wigge travels to Chile without any money. From there, he hitchhikes to Buenos Aires in Argentina. But rather than dancing the Tango, he has to find food and a means to travel on. After a difficult journey through Tierra del Fuego, Wigge accepts the long-desired position on a ship to Antarctica. Will he finally reach Antarctica without any money?